Yesterday was the mixed sprint relay, we both refused to put on a wig so we cheered on the New Zealanders and Americans from the sidelines instead. 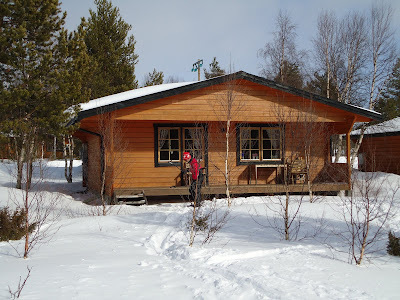 :P Today was a rest day, so we went for an easy ski on the ski trails right outside of our cabin. Tomorrow is the Long distance, our skis are waxed and ready and we will go to bed early and hope for good weather in the morning. 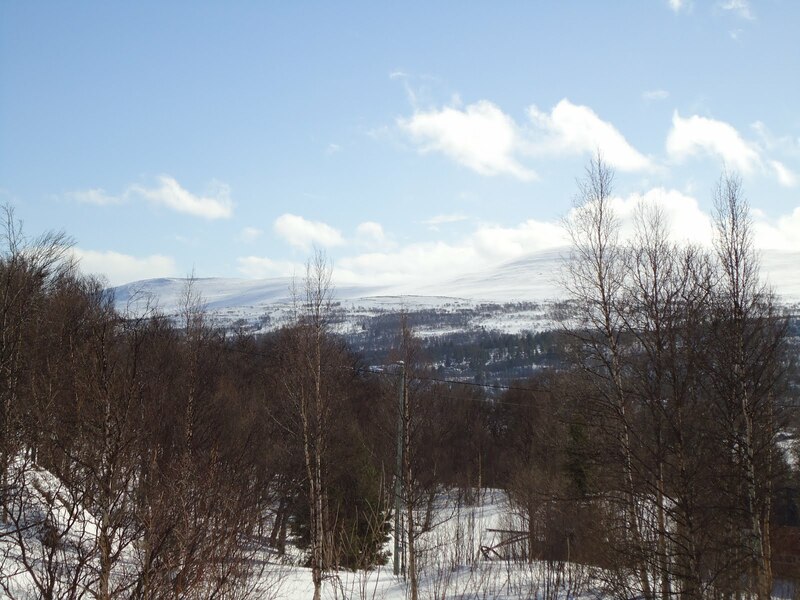 Here are some more pictures from our time so far in Tanndalen. Like many other orienteers, I headed to Portugal in March along with my family and Emily Kemp to kick start the orienteering season. The Portugal Orienteering Meeting (POM) has made a name for itself as the winter orienteering destination, promising fast technical orienteering while Northern Europe is still snowed in. POM is attended nearly 3000 people including top orienteers such as Simone Niggli, Minna Kauppi, Theirry Gueorgiou and others. It's actually a great chance to be able to compete against the best. The terrain in the Alentejano region makes for really fun orienteering. It's super fast and open cork forest with lots of technical rock detail to keep you on your toes! We also had a night sprint in the town of Portalegre; I love sprints in European towns with small twisty streets! One day the event was at the famous Alter Real horse stables and another day the finish was at a winery! All my maps are available on my DOMA. After POM we moved to UNESCO world heritage site Evora for a second weekend of races at the Meeting Internacional de Arraiolos. There we had an amazing long distance course, with super technical rocky green controls followed by a nearly 4km long leg! So our trip to Portugal was a great start to the season with fast running, technical orienteering, catching up with o friends and generally getting psyched for all the races coming up! This photo of Emily Ross doing the trail-o gives you an idea of the terrain. Emily Kemp sampling the local specialties. Notice the 8kg buckets of olives for sale below the table! The Canadian girls working our French connections and posing with Thierry Gueorgiou. How's that for a finish chute? Splash! On Monday morning we explored the model event trails, which were a bit of an eye-opener. Most of the trail system is on a large broad hillside, with 75% of the trails being narrow ski-doo made trails. Most of the skiing is double-pole technique, and the experienced ski-orienteers definitely have a big advantage. There is a lot of tough climbing and a lot of scary downhills where good control is extremely important. We also learned that there is good opportunity for cutting through the forest, however this means that it can be hard to determine what is a marked trail is and what isn't. Tuesday was the Sprint race. The weather in the morning was really nice, but about halfway through the start window, the weather turned quite ugly. Tanndalen is situated in a long valley, where the wind can be quite strong, and in combination with heavy snowfall makes visibility quite difficult. Luckily for me, the weather opened up right before my start, and it was nice and sunny. Nick had to deal with the difficult weather for the second half of his race. Aside from than the weather, the sprint courses were really well set, with lots of short legs in an intricate trail network. The race was a lot of fun, and we were quite happy with our results. 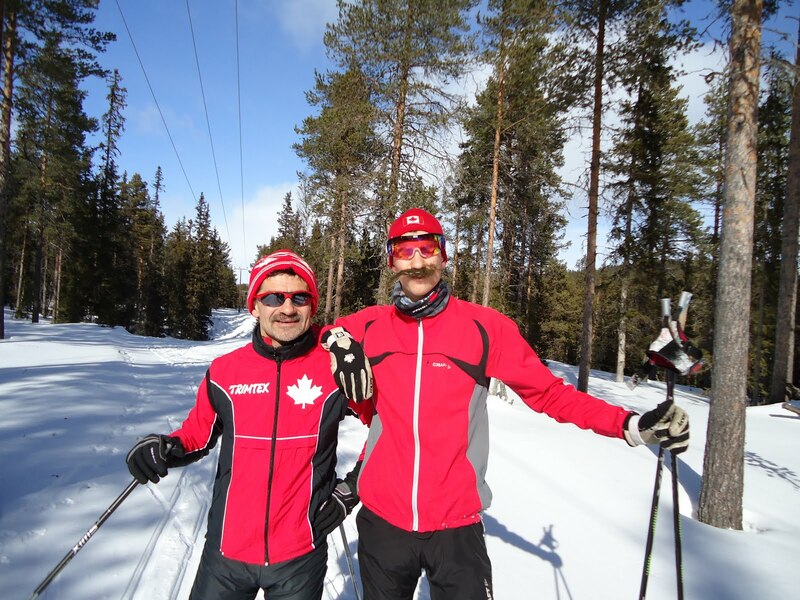 For myself, I was happy to have been the first North American in my first International Ski-O race. Nick had a very solid race, and it is even more impressive when you consider that he is racing with a fractured rib! Today was the middle distance. 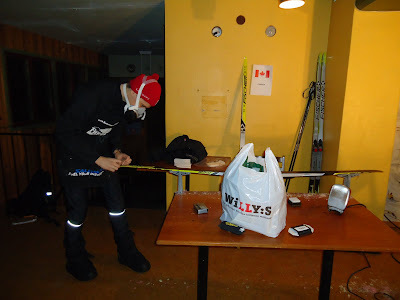 Last night we learned that because of the forecast of heavy snowfall (and the subsequent re-grooming of the whole trail network) the courses were going to be shortened, and were going to consist of two loops with a map exchange. The weather turned out to be quite difficult again, with heavy snowfall and winds throughout the day. This meant that many trails were wind-swept with snow, and very hard to see. On the other hand, the base of snow had frozen over, meaning that cutting through the forest was often a good option, provided that it was going downhill. At times, it was easiest to ignore the mess of trails that could hardly be seen, and cut through the woods towards large features such as cabins. I had another good race today, and came in to the finish sitting in 11th place. Unfortunately pretty much everyone who finished after me had a faster time, pushing me down to 45th place again :). Nick had a really good first half of his race, but faded a bit in the second half as he struggled with visibility with his glasses.